Managed by the Department of Energy’s Office of Environmental Management (OEM), the Uranium Enrichment Decontamination and Decommissioning Fund supports the cleanup of some of the nation’s most contaminated areas. The polluted sites are all former production facilities used during the Cold War to supply enriched uranium for nuclear warheads and commercial nuclear reactors. Located in Tennessee, Kentucky, and Ohio, the plants encompass more than 30 million square feet of floor space, miles of interconnecting pipes, and thousands of acres of land that are contaminated with radioactive and hazardous materials. Cleanup of the sites should be completed around 2040 and will likely cost upward of $20 billion. The nation’s uranium enrichment program was created in the 1940s as part of the Manhattan Project, the top-secret program that produced the world’s first atomic weapons. Enriched uranium was a key component of the weapons, but the material did not exist naturally in the quantities needed. So the federal government built special gaseous diffusion plants (GDPs) that could chemically alter uranium into an enriched form. These plants featured gigantic complexes of inter-connected facilities and pipes, making them some of the largest buildings ever constructed in the United States. The first GDP opened in 1945 at a secret facility 10 miles west of Oak Ridge, Tennessee, known as the Oak Ridge Gaseous Diffusion Plant, located on a 5,000-acre tract of land adjacent to the Clinch River. By the mid-1950s, five large uranium enrichment buildings covering 114 acres were in operation. The plant also included four electrical switchyards and eight cooling towers that served the enrichment buildings. Its name was changed to East Tennessee Technology Park (ETTP) in 1997. Following the end of World War II, the government built two more GDPs. The Paducah Gaseous Diffusion Plant, built between 1951 and 1955, is located in western Kentucky, approximately three miles south of the Ohio River and approximately 10 miles west of the city of Paducah. The site originally was known as the Kentucky Ordnance Works, a World War II munitions plant. Encompassing 3,556 acres, the Paducah GDP is situated near the West Kentucky Wildlife Management Area. The third plant, the Portsmouth GDP in Ohio, began operation in 1956. The 3,714-acre site is located in south-central Ohio in rural Pike County, approximately 22 miles north of Portsmouth. All three plants were used primarily to produce enriched uranium for the nation’s nuclear weapons complex until 1964 when Congress authorized the private ownership of enriched uranium for commercial uses. After this time, the amount of enriched material delivered to the commercial sector grew rapidly, and beginning in 1968, the production capacity of the three plants was increased in response to demand from the commercial nuclear power sector. By the late 1980s, with the Cold War coming to an end and the nuclear power industry losing steam in the wake of accidents at Three Mile Island and Chernobyl, demand for enriched uranium began to decline. In response, ETTP in Oak Ridge was shut down in 1987, leaving Paducah and Portsmouth still operating. Recognizing the time had come to begin addressing decommissioning and cleanup of these highly polluted facilities, the federal government established the Uranium Enrichment Decontamination and Decommissioning Fund (D&D Fund) as part of the Energy Policy Act of 1992 (EPAct) (pdf). With ETTP shut down, uranium enrichment continued at the two remaining GDP facilities until Portsmouth was closed in 2001. Since then Paducah has been the sole domestic producer of enriched uranium. However, the USEC announced that it had ceased uranium production at the plant at the end of May 2013, resulting in a phased shutdown of the facility. In July, House Subcommittee on Energy and Power chairman Ed Whitfield (R-Kentucky) said he had secured $265 million dollars from an Energy and Water federal spending bill for cleanup of the plant, which will still need U.S. Senate approval. Altogether, the three GDPs comprise a massive amount of contaminated materials that need to be disposed of, as well as thousands of acres that require decontamination. Originally, just as the D&D Fund was being established, federal officials estimated it would cost $21 billion and take more than 40 years to accomplish cleanup of the GDPs. However, the EPAct authorized annual contributions of only $480 million (from both government and industry) through 2007, for a total of $7.2 billion, leaving the project short by $13.8 billion. The DOE asked Congress for annual contributions, which were provided in FYs 2008 and 2009, as well as a designated $390 million for the D&D Fund’s cleanup operations. OEM’s FY 2014 funding request for the D&D Fund is about $555 million, a 17.6% increase over its FY 2012 enacted budget. Established by the Energy Policy Act of 1992, the Uranium Enrichment Decontamination and Decommissioning Fund (D&D Fund) was created for a 15-year period to help dismantle and clean up the nation’s three gaseous diffusion plants located in Tennessee, Kentucky and Ohio. The task of completing decontamination and decommissioning of these facilities falls under the auspices of the Department of Energy (DOE) Office of Environmental Management, which manages the D&D Fund. The challenge involves dismantling multiple complexes of interconnected buildings covering hundreds of acres and thousands of large pieces of equipment. In addition to the process buildings, there are auxiliary buildings, electrical switchyards and connecting piping and electrical systems to be taken apart and carried away. Much of these facilities are contaminated with industrial, chemical, nuclear, or radiological hazardous materials. During the first 15 years of the D&D Fund, approximately $7.5 billion was allocated for decommissioning and decontamination. With the D&D Fund set to expire in 2007, and considerable work still needing to be done at all three locations, federal officials completed a significant revision to its previous cost estimates. They calculated that it would cost another $8 billion to $21 billion (in addition to what has been spent) to complete the gaseous diffusion plant (GDP) cleanup activities. Uranium enrichment has left a legacy of radioactive and chemical contamination in buildings, soils, sediments, and groundwater. Government officials have identified more than 100 known or suspected sources of environmental contamination and found uranium and other radioactive elements from enrichment processes to be widespread in the surrounding environment. Buried uranium-contaminated equipment and low-level radiological contaminated building rubble exist at several locations. Workers used volatile organic compounds in large quantities to clean and degrease equipment, releasing these compounds into the environment. It is estimated that almost half of the 5,000-acre site contains contaminants of some kind. The processing equipment contains significant quantities of solid deposits of uranium of all degrees of enrichment. Large quantities of hazardous substances, such as asbestos and polychlorinated biphenyls (PCBs), also exist. Careful removal of enriched uranium deposits will be required to avoid “criticality accidents” (read: nuclear explosions) and to ensure no transferred material is lost or stolen. The risk of a criticality accident is especially acute at the mile-long U-shaped K-25 building at Oak Ridge due to the levels of enriched uranium found at that facility. Demolition of K-25 began in 2008 and is scheduled for completion by 2014. From 1998 until August 2011, Bechtel Jacobs Company LLC did the cleanup work at ETTP. Since then, the work has been conducted by UCOR, a partnership between URS and CH2M Oak Ridge LLC. DOE’s long-term goal for ETTP is to turn it into a commercial industrialized park. In 1996, a reindustrialization program was launched, through which numerous areas of land—where cleanup has been completed—have been made available for lease to businesses. Cleanup at ETTP is scheduled to be completed by July 2014. However, delays to that timetable are expected due to the government’s automatic spending cuts that went into effect in March 2013. Nearly $186.2 million has been recommended as an appropriation for ETTP cleanup activities in the U.S. House of Representative’s FY 2014 Energy and Water Development bill. Contamination at this facility has been found in wastewater ponds, landfills, process buildings, the former cooling towers, and other structures. Cleanup work includes demolition and disposal of the GDP processing equipment, processing buildings, and other auxiliary facilities. The project also will require remediation of contaminated soils and groundwater sources—a task that is expected to be completed by 2024. The government hopes to eventually allow industrial reuse of the land; however, federal officials still need to establish specific criteria to meet this end. A total of 134 facilities covering nearly 10.6 million square feet of floor space will need to be processed over time. The schedule for completion of the Portsmouth GDP work is now FY 2044, at an estimated cost range of $5.4 to $11.6 billion. $93.6 million has been recommended as an appropriation for cleanup activities at Portsmouth in 2014 in the U.S. House of Representative’s FY 2014 Energy and Water Development bill. Between 2003 and 2010, more than 59,500 cubic meters of legacy waste was removed from the site. Seven warehouses containing more than 187,000 drums of lithium hydroxide monohydrate have been emptied and the material sold to private vendors. Fourteen surplus inactive facilities have been removed from the site. Along with similar dismantling and cleanup tasks found at the other two GDPs, Paducah involves an abundance of surface water and groundwater resources. The plant borders the east and west sides of Little Bayou Creek and Bayou Creek, which flow north toward the Ohio River, and much of their flow contains legally permitted discharges from the plant. The major groundwater resource in the area is the Regional Gravel Aquifer, which historically has served as a source of water to local residents. This aquifer underlies nearly all of the secure area of the plant and continues north to the Ohio River into which it drains. Operations at Paducah have produced contaminated areas on-site and beyond site boundaries. Principal contaminants of concern include radionuclides, trichloroethylene (TCE), polychlorinated biphenyls (PCBs), metals, and other plant-related contaminants. Through spills and disposal operations, these contaminants have entered groundwater aquifers, formed groundwater plumes, and in some cases, migrated off-site and contaminated private drinking water wells. Off-site groundwater contamination was first discovered in residential wells in 1988. DOE has since provided residents with non-contaminated drinking water. The EPA and the state of Kentucky have been involved with the cleanup operations at Paducah since the late 1980s. In May 1994, the area was placed on the Environmental Protection Agency’s National Priorities List. In 2010, the DOE began using an electrical resistance heating process to vaporize the site’s primary contaminant, TCE, from the groundwater. Full cleanup and dismantling may not begin until 2017, with completion not until sometime in the decade beginning 2040 at the earliest. The plant announced in May 2013 that it was ceasing uranium processing after 60 years in operation. It will phase out all of its services through 2014. The U.S. House of Representative’s FY 2014 Energy and Water Development bill recommends $265.2 million as an appropriation for cleanup activities at Paducah. The Deactivation and Decommissioning Fund (D&D Fund) has spent $370.5 million on 45 contractor transactions during the past decade, according to USAspending.gov. The main types of products or services purchased during this period were demolition of structures and facilities ($319,519,535), cleanup and disposal operations ($50,880,000), other professional services ($116,325), and technical repair services ($9,846). Among the many stakeholders involved in the D&D Fund, one of the largest is defense contracting giant Lockheed Martin. A division of Lockheed Martin is the managing contractor for the United States Enrichment Corporation (USEC) and runs the day-to-day operations at the three gaseous diffusion plants (GDPs). Another division, Lockheed Martin Energy Systems, is the Department of Energy’s management contractor for environmental restoration and waste management activities at the Paducah and Portsmouth sites. It is also the operations contractor at the Oak Ridge site. Several federal and state government entities are also involved in monitoring the work of the D&D Fund. The Oak Ridge and Paducah GDPs are listed on the Environmental Protection Agency’s National Priorities List and have negotiated Federal Facility Agreements with their respective state and regulators. Portsmouth is regulated by the Ohio Environmental Protection Agency under the Resource Conservation and Recovery Act of 1976 and has negotiated a Consent Order with the state of Ohio. U.S. Sen. Sherrod Brown (D-Ohio) has been particularly active in efforts to renew the D&D Fund. He was also a vocal critic of the George W. Bush administration for its decisions affecting the cleanup of the Portsmouth site (see Controversies). The Department of Energy (DOE) announced in May 2013 that it would shutter a Cold War-era uranium enrichment plant—the last of its kind in the U.S. But the decision provoked criticism from labor and environmental groups, saying an abrupt shutdown was a bad idea. The United Steelworkers union said closing the plant in Paducah, Kentucky, would endanger more than a thousand jobs. A group called Neighbors for an Ohio Valley Alternative claimed the closure would lead to a “dirty shutdown” if the plant’s operator, United States Enrichment Corporation (a subsidiary of USEC Inc.), allowed uranium-laden gas to solidify within the complex diffusion system. 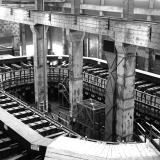 Opened in 1954 by the Atomic Energy Commission, the plant was becoming uncompetitive in the market for uranium enrichment, which had already forced the DOE to subsidize its operations. In August 2013, Kentucky Attorney General Jack Conway threatened to sue the DOE if its cleanup of the plant fell behind schedule once it ceased to operate. In 2000 and again in 2004, the Government Accountability Office (GAO) reported that cleanup efforts at the Paducah site were falling behind schedule and running over budget. Originally, it was reported by DOE that work would be completed by 2010 at a cost of $1.3 billion. Now, decontamination and decommissioning aren’t expected to conclude until 2040, although unofficial reports have pointed to 2060. At least an additional $300 million may be required, and in July 2013, House Subcommittee on Energy and Power chairman Ed Whitfield (R-Kentucky) secured $265 million dollars from an Energy and Water federal spending bill. The operator of two former nuclear weapons facilities sued the DOE in May 2013, claiming the government hadn’t paid $38 million for decontamination and decommissioning work. United States Enrichment Corporation (a subsidiary of USEC Inc.) claimed the DOE did not approve eight years of invoices and thus hadn’t reimbursed the company for cleanup work it did under contract at the gaseous diffusion plants in Paducah, Kentucky, and Pikeston, Ohio, from 2003 through 2011. Most of the money owed was for work done at the Ohio plant, which ceased to operate during the previous decade. The Kentucky plant was still operating, but was slated for closure by mid-2014. Automatic budget cuts imposed by Congress in 2013 were expected to impact operations at the DOE, including those at former nuclear weapons facilities undergoing cleanup work. Energy Secretary Steven Chu warned the sequestration would delay work at the DOE’s highest-risk sites, including the Hanford Nuclear Reservation in Washington state, where a half-dozen tanks were leaking radioactive waste, the result of decades of plutonium production for nuclear weapons. Democrats on the House Appropriations Committee said more than 1,000 contract workers at Hanford could be furloughed. The site, near the Columbia River, held more than 53 million gallons of highly radioactive waste, which was enough to fill dozens of Olympic-size swimming pools. When pink slips were handed out in March, Washington River Protection Solutions, in charge of emptying the tanks, said three-dozen of its employees were laid off. Nuclear operators moving tank waste for pumping were among the hardest hit. The company was slated to lose some 900 employees for anywhere from half a month to more than two months. Other important sites facing work delays were the Savannah River Site in South Carolina and the Idaho National Laboratory, as well as the Oak Ridge Reservation in Tennessee, the cleanup of which had been scheduled for completion by July 2014. A contractor charged with managing the government’s former nuclear weapons site in Washington state was forced to settle a whistleblower lawsuit in 2013. Fluor Corporation agreed to pay $1.1 million to settle a whistleblower’s claim that the company violated the False Claims Act by improperly using federal funds for lobbying. Federal law (the Byrd Amendment) prohibits contractors from using federal money to lobby the federal government in connection with awarding, extending, or modifying a contract. Fluor was the managing contractor at the Hanford Nuclear Site from 1996 until 2009, when management was taken over by Mission Support Alliance, LLC (MSA), a joint venture consisting of Lockheed Martin, Jacobs Engineering, and Wackenhut. Whistleblower Loydene Rambo filed a lawsuit alleging that between 2005 and 2008 Fluor and MSA spent approximately $670,000 in DOE funds to lobby Congress and the executive branch for additional appropriations and contracts for the Volpentest HAMMER (Hazardous Materials Management and Emergency Response) Training Facility at the site. Rambo received $200,000 from Fluor’s settlement with the government. The DOE’s Office of Health, Safety and Security in 2013 found problems with the safety culture at the Portsmouth Gaseous Diffusion Plant, which was undergoing decontamination and decommissioning work by contractor Fluor-Babcock & Wilcox Portsmouth. Inspectors listed in their report examples of requirements not addressed by the contractor in pre-job briefings, including responsibilities going unassigned, specific hazards and controls not being discussed, alarms that could be anticipated, and unexpected situations that could arise. The DOE’s inspector general reported in 2012 that contractors working on cleaning up two nuclear weapons facilities had conflicts of interest. The investigation found that contractor Restoration Services Inc. (RSI) was overseeing the work of subcontractor VETCO at plants in Piketon, Ohio, and in Oak Ridge, Tennessee. The problem was RSI held a financial interest in VETCO, even though it was supposed to have divested itself of the subcontractor. Another conflict existed in that one upper-level RSI official also held a senior post at UCOR—another contractor that oversaw RSI at Oak Ridge, and supposedly should have been reviewing and approving RSI’s work. RSI performed environmental restoration projects, including waste cleanup and solar energy development for the DOE, while VETCO specialized in “environmental services and staff augmentation,” according to its Web site. Roy Lynn Oakley, 67, a former government contract employee was indicted in 2007 on charges of stealing nuclear energy-related materials from a nuclear weapons facility in Tennessee. At the time of his arrest, Oakley worked for Bechtel Jacobs, the Department of Energy’s prime environmental management contractor at the East Tennessee Technology Park in Oakridge. In return for $200,000, Oakley attempted to sell the materials, which were part of the plant’s uranium enrichment process, to an unauthorized party that he thought was a French agent—who turned out to be an undercover agent with the Federal Bureau of Investigation. Authorities had been watching Oakley for six months and claimed that his arrest showed Oak Ridge security measures were working adequately. In 2009, Oakley was convicted and sentenced to six years in prison as a result of a guilty plea. In February 2008, Sen. Sherrod Brown (D-Ohio) complained to DOE Secretary Samuel Bodman that his department was preparing to move forward on the Portsmouth site without input from local citizens. In his letter to Bodman, Brown said the DOE had yet to engage the local community in the creation of DOE’s long-term cleanup plans, even though the department had done so at every other major cleanup site around the nation. Traditionally, the DOE establishes a community advisory board as a mechanism for community leaders to have input into the cleanup. Such boards provide feedback on important issues such as future uses of the site and how reclamation should proceed. At the beginning of 2008, no community advisory board had existed for Portsmouth. By July 2008, Brown’s complaints bore fruit when an advisory board was finally created for the site. Problems within the U.S. Department of Energy’s (DOE) environmental management office prompted one outside group in 2000 to propose several reforms to improve operations and strengthen the agency’s leadership. The organization Resources for the Future issued a report discussing the challenges of cleaning up the Cold War legacy of nuclear weapons manufacturing faced by the Decontamination and Decommissioning, which the Office of Environmental Management (EM) was charged with overseeing. The report stated that EM needed to do two things: implement internal management and structural reforms, and second, make changes to its leadership. Clarify EM’s mission and separate DOE’s “job creation” and economic transition functions from EM programs and contracts. Decide which DOE sites will—and will not—have a future DOE mission. Require annual reports to Congress on the EM program. Create an independent commission to evaluate the current EM organizational structure and identify needed reforms. 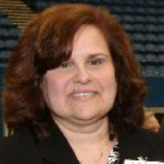 When Barack Obama selected Inés R. Triay for the position of Assistant Secretary for Environmental Management (OEM), he decided that her qualifications as a 24-year veteran of the Energy Department, including her oversight of a key nuclear waste disposal plant, trumped any concerns about her political contributions to former President George W. Bush. She took over the leadership of the Office of Environmental Management (OEM) in May 2009 after leading it in an acting capacity since November 2008. Triay is in charge of the US government’s primary cleanup operation of nuclear waste, which involves more than 100 sites located across the United States. James Rispoli served as Assistant Secretary for Environmental Management from August 2005 until November 22, 2008. In his capacity as head of the Office of Environmental Management, Rispoli also oversaw the management of the Uranium Enrichment Decontamination and Decommissioning Fund. He earned his Bachelor of Engineering degree in civil engineering from Manhattan College and a Master of Science degree in civil engineering from the University of New Hampshire. Additionally, he holds a master’s degree in business from Central Michigan University. Following college he joined the US Navy and rose to the rank of captain while serving in the Navy’s Civil Engineer Corps, holding executive level environmental and construction management positions. Rispoli later joined Metcalf and Eddy, an environmental engineering firm, where he served as senior vice president with responsibility for its Hawaii offices. He then joined the engineering firm of Dames & Moore’s and served as vice president and manager of the firm’s Pacific area operations. In both firms, he led major engineering and construction projects for private clients, state and federal governmental agencies. Rispoli moved on to the Department of Energy, where he served as senior real property officer and then director of Office of Engineering and Construction Management. He also was a member of the Federal Energy Management Advisory Committee. A fellow of the American Society of Civil Engineers, Rispoli is past director of its construction division and has served in several local section officer positions. He is also a fellow of the Society of American Military Engineers, for which he has held several officer positions at the local post level and served as the national society’s vice president for environmental affairs. 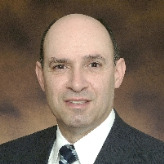 Rispoli is an active member of the Project Management Institute for whom he has served on a number of panels and study efforts.